Looking to put the top down, feel the wind through your hair and see the sights? Though our area is well known for its hiking destinations, did you know it's also a fantastic destination for auto and motorcycle enthusiasts? From our rolling country hills to our curvy mountain roads, our area boasts some awesome rides with spectacular views and thrilling curves. Here are some of my favorite drives in our area. 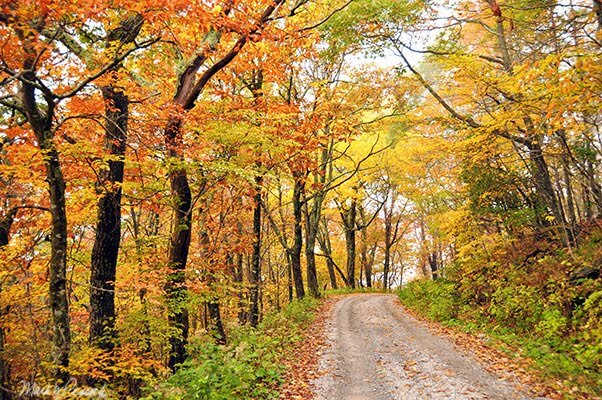 Leave a comment if you have a favorite stretch of road to take in some Appalachian beauty. For more suggestions, click here and here. Tennessee Heritage - Take a ride through Tennessee's oldest town, Jonesborough, on your way to President Andrew Johnson's home (and museum) in Greeneville, TN. On the way back, enjoy the rolling countryside and mountain views. The Roan - Feel the dramatic change in temperature as you take a ride up and over Carver's Gap in the Roan Highlands. 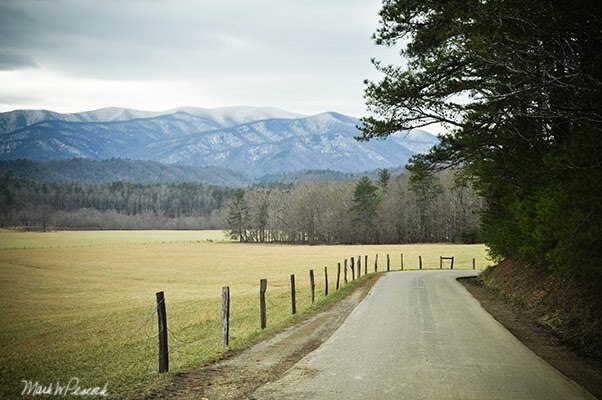 This route has you circling back to Johnson City via Bakersville, NC and Limestone Cove. Rural Mountain Tour - Towering pines outside of Erwin, TN will inspire you as you begin your climb to Indian Grave Gap on the TN/NC border. Once in NC, you wind your way down to the Nolichucky River - a favorite of summer rafters. 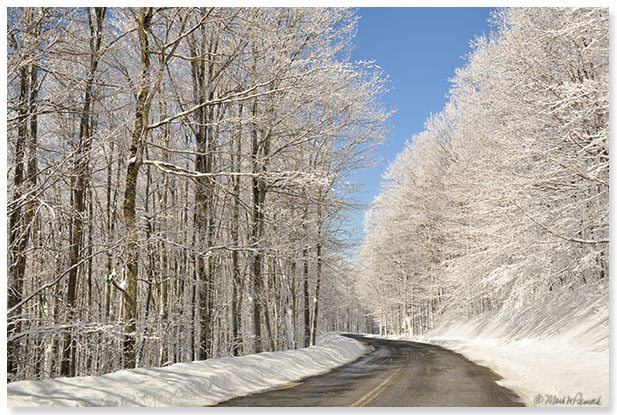 Then it's back to Tennessee over Spivey Mountain Gap - a very curvy mountain drive. Clark's Creek Road - a short gravel drive into the deep woods in rural Unicoi County -- a gateway to numerous trails and waterfalls. On the way there, you'll pass through beautiful rolling farmland. Blue Ridge Parkway: From Asheville to Graveyard Fields - Start out at the Blue Ridge Parkway Museum in Asheville, and enjoy the scenic views (including one of Looking Glass Rock) and numerous tunnels along this thirty-five mile section of the parkway. More info here. Blue Ridge Parkway: From Grandfather Mountain to Blowing Rock - one of the best loved and most spectacular sections of the parkway. 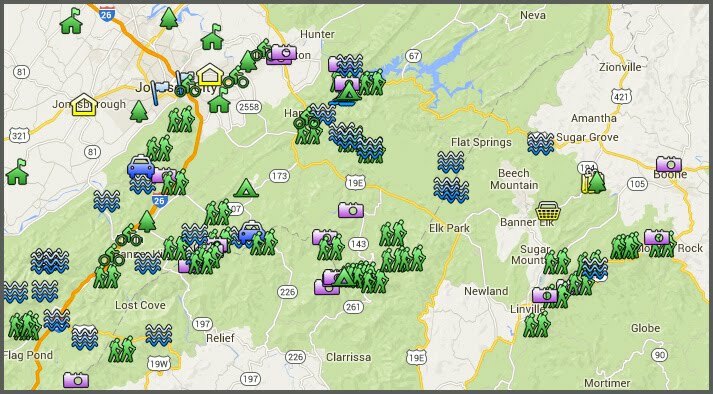 Click here for a map showing the route from Johnson City, TN to Blowing Rock, NC via the Parkway and then taking Route 221 from Blowing Rock back to Grandfather Mountain. More here. The Carolina Corkscrew (aka The Rattler)- Hot Springs/Marshall, NC - Talk about curves! 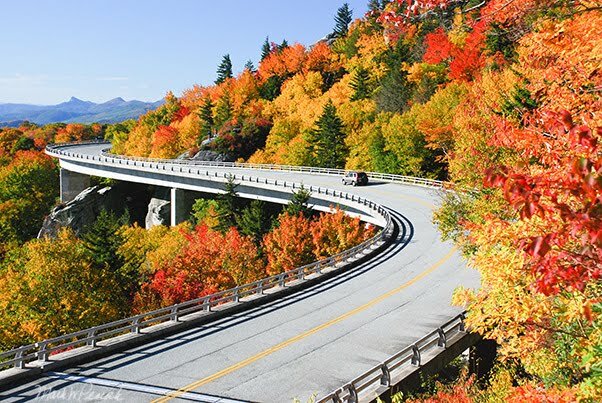 This will throw you for a loop (j/k), beautiful country roads, loads of curves, great views, and two quaint old towns in Western North Carolina.